Some areas experienced a dramatic increase of the voracious insects, while others were down on last year, according to the world’s leading expert on the biting beasties. The number of midges caught in the north-west during 2016 was up 21% compared with 2015, whereas catches in Argyll were 6% down over the same period. Dundee-based Advanced Pest Solutions director Alison Blackwell said numbers had not been as high as 2014, which was bumper year, but they had not done too badly. Ms Blackwell’s company runs the midge forecast, which provides advice for hikers and others taking part in outdoor activities based on the weather forecast and catches from traps across Scotland. The midge season is now coming to an end and she has been assessing the data collected by her volunteer midge trappers in the country’s midge hot spots. She said: “The 2016 midge season started off with major emergences across Scotland’s midge territory, equalling those seen in the record midge season of 2014. 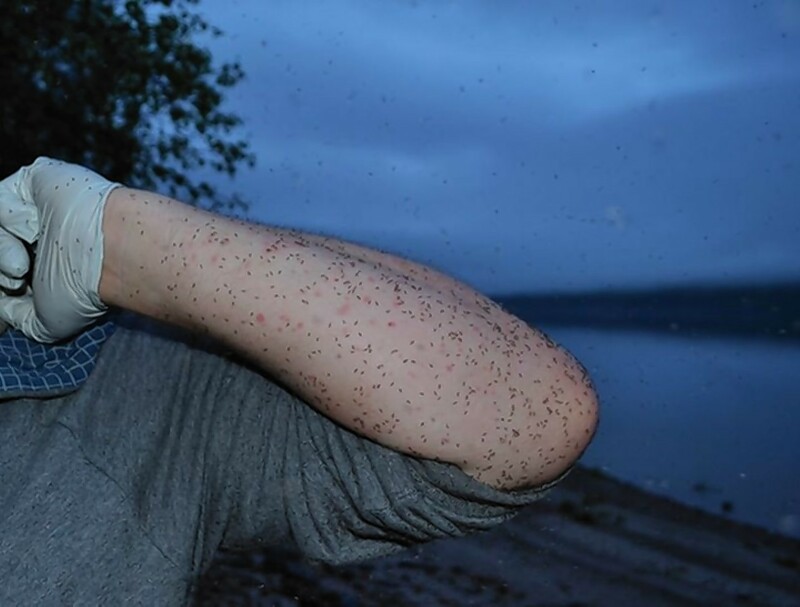 “Catches of 80,000 midges per night were seen at the end of May in Argyll, followed by similar numbers in the north-west of Scotland just a few days later. Ms Blackwell said midge numbers in Argyll dropped off rapidly from early July and only a small second generation was recorded, with peak catches of around 20,000 midges per night in early August. She said: “Midges in the north-west had a more obvious second generation, with catches in the region of 30,000 per night during the first two weeks of August. She added that the number of midges being caught now was very low and reports of any significant activity were rare. Ms Blackwell said: “Eggs laid by the final generation of midges will have developed into larvae, inhabiting soil water films a few centimetres below the soil surface.